The amount of foreclosed homes is one thing still weighing down the economy. And many are stuck on the market because banks can’t find the ownership documents. Why? Turns out Wall Street cut corners when creating mortgage-backed investments—and didn’t want old fashioned paperwork in the way. And now when banks want to evict people they are finding that the legal documents behind mortgages aren’t there. Even worse, it seems that banks—in order to cover their tracks—hired companies to recreate missing mortgage assignments and provide the legally required signatures of bank vice presidents and notaries. Now to avoid foreclosures, desperate homeowners are countersuing banks over the document disaster—leaving houses unsold indefinitely and stalling the recovery. 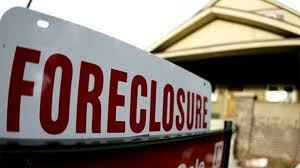 Many foreclosed banks are still stuck on the market because of lost ownership documents. This entry was posted in Loans/Financing/Credit, People and Business and tagged banks, Craig Tomlinson, Foreclosures, home mortgage, Mortgage, mortgage paperwork. Bookmark the permalink.